On May 12, 2017 February 15, 2018 By felicitousfelixIn Are There Lesbians? Your typical love triangle – a Bad boy and a Nice boy competing for the affections of one girl. Only she is a budding genius scientist and they are spies sent to win her heart in the hopes of discovering her deepest secrets. The loser dies. Now imagine what could go wrong if they accidentally fell in love with each other instead. Ohhhh my goodness, this book! I am absolutely dying, it is possibly the cutest thing I have ever read and the most upsetting thing is that there is still a week until it’s published! That’s way too much time for my tiny fangirl heart. I need people to talk about this with damnit! If I haven’t made it clear enough that I am uber excited for this book then I don’t know what will. 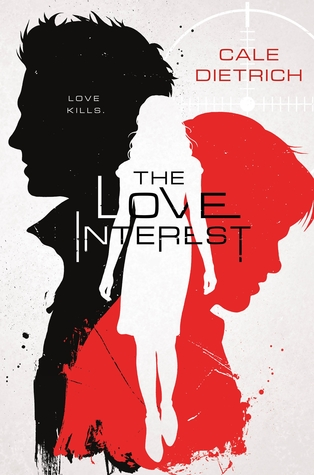 Just reading the blurb for The Love Interest filled me with excitement – spies? romance? baby gays?! This book is the whole package. If you want to get pretentious with it then The Love Interest is the perfect subversion of all the tedious love triangle YA novels on the market at the moment. If you don’t want to get pretentious with it then it’s an amazingly fun read with all the warmth of reading your favourite humour/angst coffee shop AU (no seriously, Caden works at Starbucks) with all the tropes included! that, due to the inherent trope-y nature of, well, love interests, it really makes all the things that you might find annoying in a lot of books… work. By making a lot of those terrible pick-up lines literally scripted, The Love Interest somehow manages to avoid being completely eye-roll worthy. Instead it revels in being the most cheesy, tooth-cavity-inducing book you’ve probably ever read. The closest book I can think of it in style is probably Rainbow Rowell’s Carry On, but even that doesn’t quite compare. What I did find particularly interesting (and I don’t know if this was intentional or not) but during the climax there is a reveal by the big bad that is clearly supposed to mean something – to him or the characters, maybe to us. However, it turns out that it doesn’t really change anything, because by the time he gets around to it, what he has to say doesn’t actually mean anything, it doesn’t matter how or why they got to this point, only that they are finally there. I found it funny that considering how The Love Interest seriously makes you consider what’s real and what isn’t, this particular piece of information is definitely true, but it’s also almost irrelevant. The Love Interest is a fun, sweet book filled with wonderful, complex characters who also really only have very simple desires. It’s an incredibly satisfying read and I can’t wait to be able to get my hands on a physical copy!